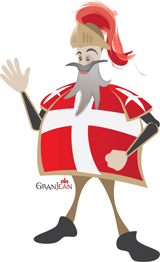 The Feast of Santa Marija is celebrated on the 15th of August, and for the Maltese population this religious holiday bears a very deep, historical significance. Santa Marija is the perfect day for you if you love festas, food, colour and joyous noise all meshed up in a magnificent display of fireworks and revelry. Santa Marija is however also celebrated solemnly and with gusto in the following localities whose parishes honour her: Attard, Mosta, Mqabba, Qrendi, Gudja, Ghaxaq, and Victoria, Gozo. 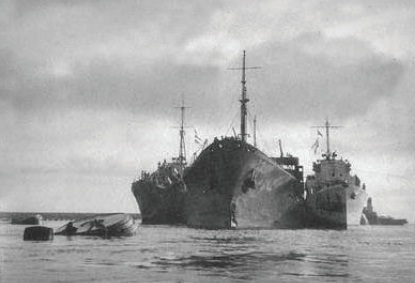 During World War II, the Maltese population was saved from starvation and provided with enough supplies to sustain the islands thanks to a food convoy that arrived during the week of the feast day. This convoy’s arrival is seen by many to have been a big turning point of the war in the Mediterranean as otherwise the Maltese would have had no alternative but to surrender. In August 1942, Operation Pedestal was mounted from the United Kingdom with the aim to relieve Malta. The convoy was intercepted by the Axis who deployed 20 submarines, 19 motor torpedo boats and over 850 aircraft. Hence they faced a gruelling five-day ordeal which saw nine out of fourteen merchant ships succumbing to the relentless round-the-clock attacks. Four of the ships that survived reached Malta on the 13th and 14th of August. However there was no sign of the sturdy tanker Ohio, which was loaded with vital oil, fuel and kerosene supplies without which Malta could not hope to survive. The tanker had been singled out from the start and faced ferocious attacks and was lying crippled some kilometres off Malta. The ship had been torpedoed and holed, a series of fires were started and controlled, her boilers blew up and her engines failed; twice abandoned and twice rebounded- the tanker would not sink- as if aware that Malta’s survival depended on her! 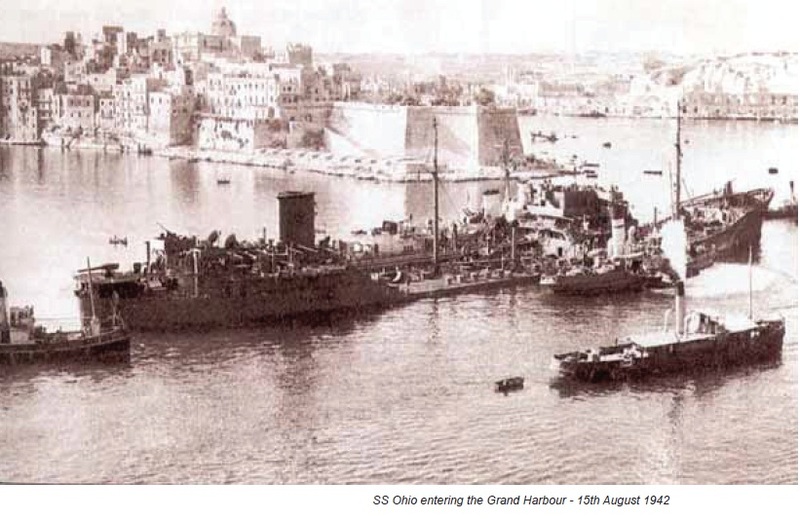 On August 15th 1942 on the feast of Santa Marija, the Ohio – towed by two destroyers, Ledbury and Penn, and one minesweeper, Rye- entered the Grand Harbour. She discharged her cargo and no sooner were the 10,000 tons of precious fuel oil and kerosene extracted from her mangled hull, the Ohio sank and rested on the bottom. This epic convoy is recorded in Malta’s National War Museum where many items are on display, which include photographs of the fourteen ships; a graphic plan showing the route by the convoy and the locations of where the ships were sunk; the helm and nameboard of ‘Ohio’ amongst many other fascinating historical artefacts. For more information on how to get to the National War Museum or about Malta Events during your holidays please speak to Our Transport Desk. This entry was posted in Feasts in Malta, Grand Harbour, Malta Events, Maltese History on July 30, 2012 by admin. 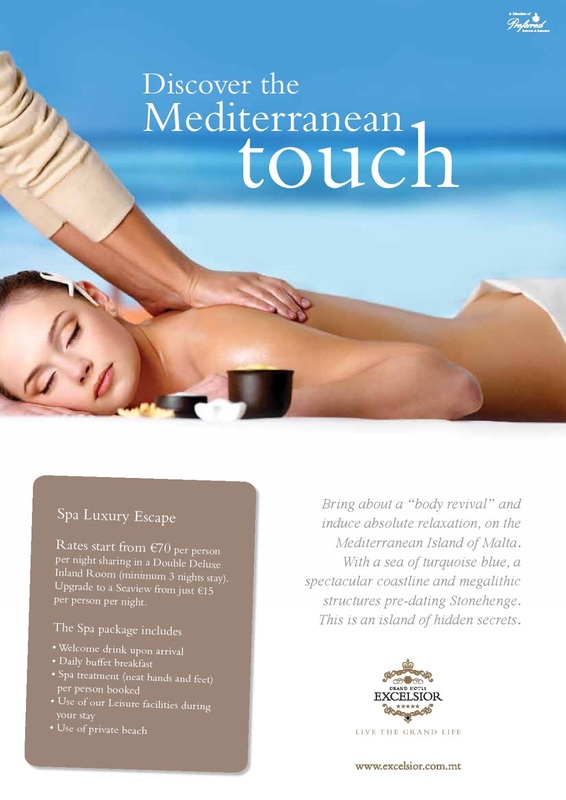 Bring about a “body revival” and induce absolute relaxation, on the Mediterranean Island of Malta. With a sea of turquoise blue, a spectacular coastline and megalithic structures pre-dating Stonehenge. This is an island of hidden secrets. 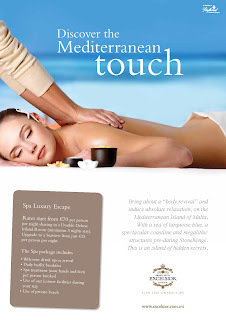 This entry was posted in Mediterranean on July 27, 2012 by admin. What is the Order of Malta and how does one become a member? An interesting article for the History Enthusiasts… And if you would like to find out more about Malta’s history whilst on holiday check out Our Valletta Package. This entry was posted in Valletta on July 24, 2012 by admin.